Home >> Our Providers >> K. Michelle White, D.O. Dr K. Michelle White is a native of St. Albans, WV. She now lives in Scott Depot, WV with her husband and 3 children. Dr White graduated from Marshall University in 1999 with a bachelors degree in Biology and a minor in Chemistry. She then went to the West Virginia School of Osteopathic Medicine and graduated in 2003. Dr White completed her pediatric residency at CAMC (Women's and Children's) in 2006. She joined South Charleston Pediatrics in 2006. 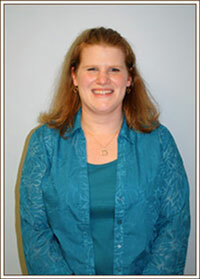 She is board certified in pediatrics and has a special interest in children with special needs.